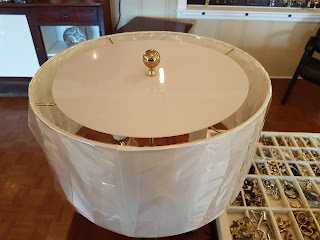 Acrylic diffusers are an easy and cost effective way to make a big change in table or floor lamp. Specialty lamp shops like Antique Lamp Supply, offer diffusers in several sizes. We currently offer sizes from 7 1/2 inch to 17 1/2 inch. Each diffuser is made from 1/8 inch thick translucent white acrylic and has a 3/8 inch center hole for mounting the diffuser to the shade. Installation is as easy as 1, 2, 3. 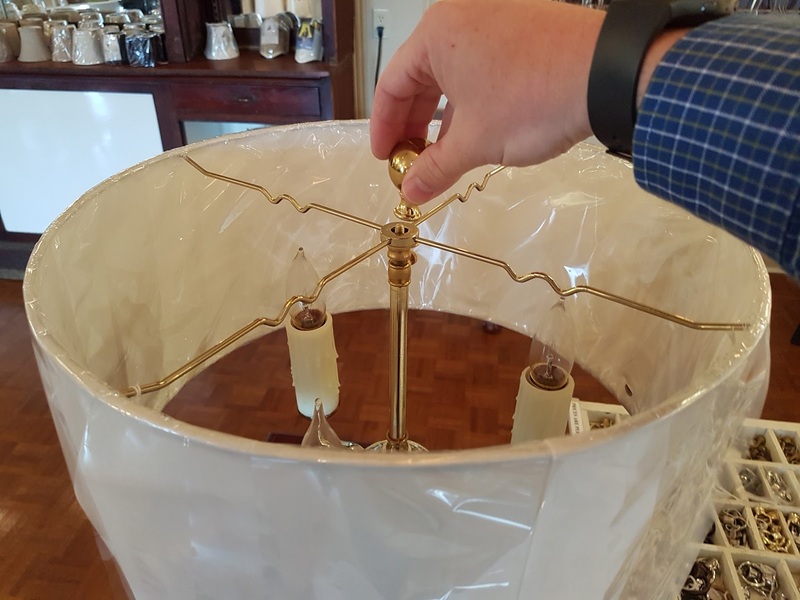 Step 1: Identify the lamp needing a diffuser. Step 2: Unscrew the lamp finial from the harp or threaded rod. 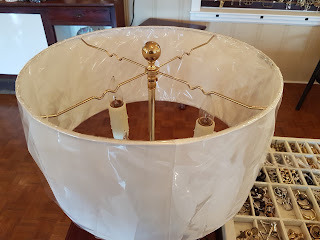 Step 3: Place the diffuser flat against the top of the shade and screw the finial back on the threaded rod or the top of the harp. For information about measuring and fit, check out this video. 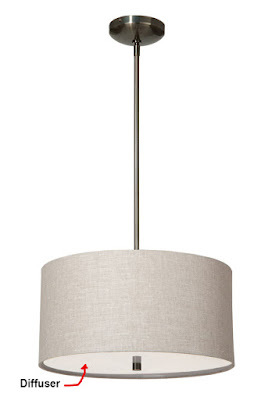 In addition to table lamps and floor lamps, diffusers can be used for sleek and clean Mid-Century style pendant lamps. Especially pendant lamps with drum style shades. Like the table lamps and floor lamps, the intention is to spread the light from the bulb.